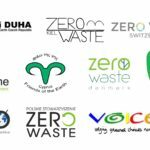 Brussels, 3 July 2017 – More than 7 months after the transposition deadline of the EU Plastic bags directive, environmental NGOs celebrate today the 8th edition of the International Plastic Bag Free Day. In this important year where plastic pollution of ocean is considered a priority global concern, the compliance and ambition levels of EU Member States to reduce plastic bags fall short of expectations. The 2015/720 Plastic bags directive was adopted in April 2015 to reduce the consumption of lightweight plastic carrier bags in Europe. Member States were to transpose it into their national legislations by 27 November 2016, and introduce measures to achieve the still modest but vital reduction objectives of 90 bags per person per year by 31 December 2019, and 40 bags by 31 December 2025. More than 100 billion bags are used annually in Europe, and most end up in landfills, incinerators or as litter in and alongside aquatic environments, taking centuries to degrade and creating unprecedented damages to marine ecosystems. In addition, producing these bags requires millions of barrels of oil per year, significantly contributing to climate change. The International Plastic Bag Free Day, celebrated around the World on July 3rd, is a unique occasion for our organisations and the whole Break Free From Plastic movement to spread the word that a plastic bag free world is possible, where sound environmental alternatives to single-use plastic bags are used and reused. More than 7 months after the transposition deadline, the result has been disappointing, with many Member States showing a lack of reliability to the commitments they have made. 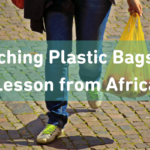 Some have only taxed plastic bags, set voluntary agreements with the private sector, or simply relayed the Commission’s message about the risk posed by plastic pollution. It is unfortunate that Member States have demonstrated no audacity, ambition nor effectiveness in transposing this mandatory directive, to the detriment of the environment. While the European Union is aiming at strengthening its profile as a leader against plastic pollution at the regional and international level, some of its members are undermining its efforts by inhibiting it from delivering on this topic of major importance, repeatedly praised by European citizens. On this International Plastic Bag Free Day, we urge EU Member States to take more ambitious measures against plastic bag pollution, ensuring full compliance with the Plastic bags directive, and opting for the phasing out of single use plastic bags.